Vienna ranks right at the top of my list of elegant European cities. Once the capital of the mighty Habsburg empire, this imperial city has an enduring grandeur and an easy livability that I admire. 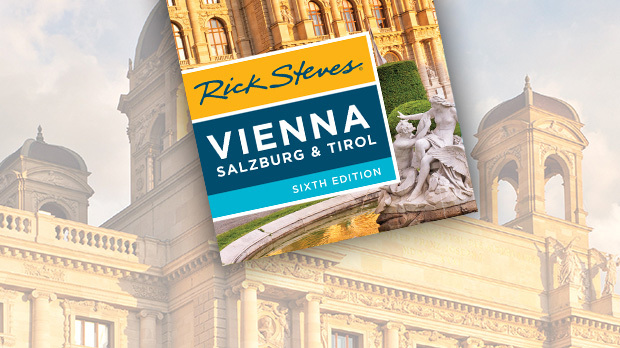 From a sightseeing point of view, Vienna is the sum of its illustrious past, with plenty of palaces to explore. But just as enjoyable is simply experiencing the vibe of this great city. Having lost World War I and her political power, Vienna has kicked back, becoming an expert in good living. People stroll the streets here as if every day were Sunday. The low-rise city center is peppered with Art Nouveau and early-modern buildings. Architect Otto Wagner played a big part in shaping the urban landscape, helping to launch the 20th century in Vienna with a quietly revolutionary building: a bank for people who weren't rich. His Postal Savings Bank overlooks the street with a marble-sided facade that looks as secure as a safe-deposit box. It's bolted together with an exciting new material — aluminum — that claims this building for the modern age. Even now, as Wagner intended, form follows function: The building (open to the public) is still a savings bank. Fine thematic exhibits seem to be popping up around Vienna. There's a worthwhile little museum dedicated to Wagner at the back of the Postal Savings Bank. The small and modern Jewish Museum documents the history of Vienna's Jewish community. At the Museum of Military History, the amazing Sarajevo room catalogues the events of June 28, 1914, when Archduke Franz Ferdinand was assassinated (igniting World War I) — both the car he rode in and his bloodstained uniform are on display. The quirky Third Man Museum (Dritte Mann Museum) is dedicated to a film — The Third Man — and the story it tells. This noir thriller is set (and was filmed) in seedy 1949 Vienna — when the city was split, like Berlin, among the victorious Allies. The film (in English) plays regularly at Vienna's Burg Kino. Third Man enthusiasts love the museum's movie artifacts. Just as interesting are its topical displays about the murky underbelly of Vienna’s postwar years. 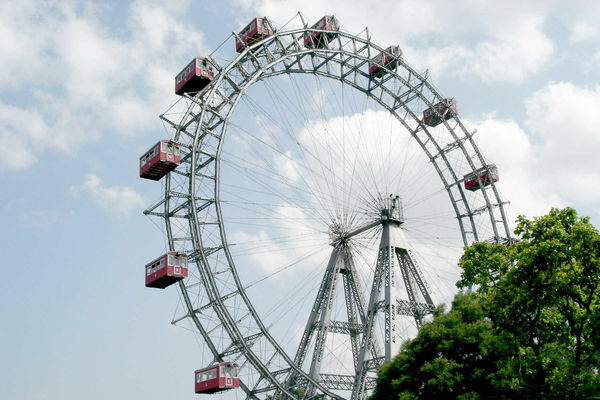 For a lighter side of Vienna, amuse yourself at Prater Park, which has been the city's playground since the 1780s, when the emperor gave his hunting grounds to the people. For the tourist, the Prater is its sugary-smelling, tired, and sprawling amusement park. For locals, the Prater is the vast, adjacent green park with its iconic tree-lined boulevard. The fun fair tempts all comers with its famous 220-foot-tall Ferris wheel, roller coasters, bumper cars, and endless eateries. Especially if you're traveling with kids, this is a fun, goofy place to share the evening with thousands of Viennese. Vienna has a long history as Europe's music capital, and music lovers come to see the houses of the composers who lived and worked here. The homes of Schubert, Brahms, Haydn, Beethoven, and Mozart all host museums — but they are mostly small and forgettable. For the best music history experience, I like the Haus der Musik, which honors the great Viennese composers with fine artifacts and fun exhibits. Try your hand at virtually conducting the Vienna Philharmonic — if you mess up too much, the "musicians" will refuse to play. Classical music performances are everywhere, booking up to 10,000 seats a night. The Vienna State Opera alone belts out 300 glittering shows a year. Fans of toe-tapping waltzes head to the Kursalon, an elegant hall in the main city park, where Johann Strauss himself directed concerts 100 years ago. Mozart lovers choose the intimate little Theater an der Wien, designed in 1801 especially for Wolfie’s operas. This gilded high culture can be surprisingly affordable — a standing-room ticket for the opera is about the same price as a cinema ticket. For a literal taste of old Vienna, step into one of the venerable cafés clustered on St. Michael’s Square, behind the hulking Hofburg (the Habsburg palace). With crystal chandeliers and worn red-velvet chairs, these establishments have the charm of times past. The waiters are grouchy old men, but don't let them discourage you — classic Viennese pastry service is slow. Admire the delectable specials in the confectionery case while you wait. 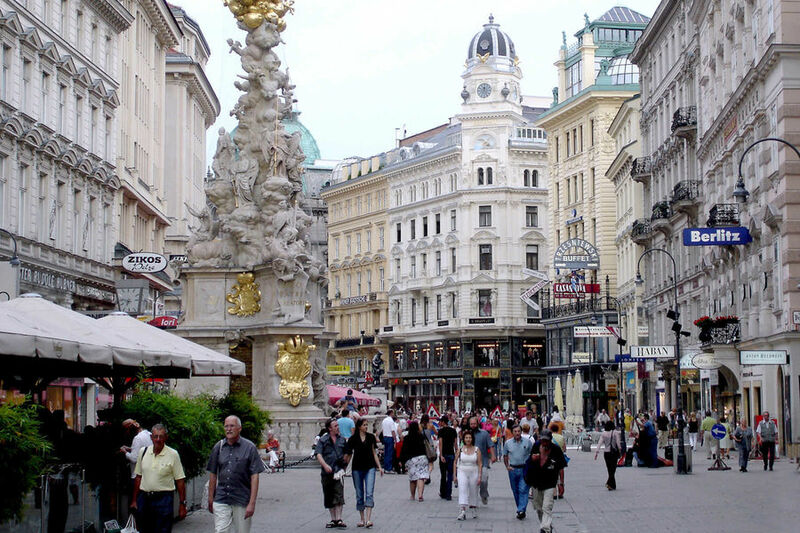 Whether you're lingering in a genteel café or enjoying Strauss in a park, Vienna is a class act. Everything old seems new again in this vibrant city.